TBSSamantha Bee has taken over late night. Samantha Bee is no longer on “The Daily Show,” but she has picked up the torch as America’s foremost political satirist. Bee was a “Daily Show” correspondent for twelve years, longer than anyone else there by a mile. In 2015, she left and started her own late night show, “Full Frontal,” on TBS. Since then, she has come into her own as the most powerful voice on the late night circuit, even leaving her former home on Comedy Central in the dust. Right now, she’s doing everything that “The Daily Show,” now hosted by Trevor Noah, should be doing. Here’s why Bee is killing the late night show game. Being on once a week is an advantage. Bee shows that you don’t have to be on TV four or five nights a week to be relevant. Instead, “Full Frontal” only airs on Monday nights. It feels like both a perfect recap of the week before, and an angry introduction into a new week. Given that anyone can log onto Twitter now any day of the week and see hundreds of political punchlines, having a daily political comedy show almost seems pointless. Less means more time for research and longer, funnier features. 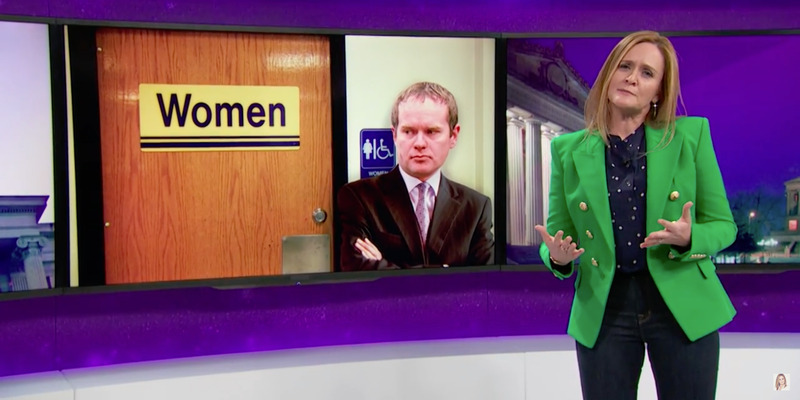 It feels like Samantha Bee speaks for us. 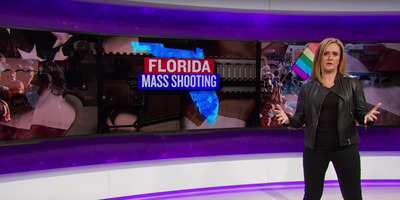 TBSBee’s coverage of mass shootings and gun control has hit a nerve. Whenever Bee speaks, it feels like she is speaking for all of our anger, but in a funnier, more eloquent way. In the aftermath of the Orlando mass shooting, Bee felt both like a voice of reason and a voice of righteous outrage. In fact, this Canadian comedian can even provide a nuanced and relatable take on Brexit. It felt like she was saying exactly what you were thinking and feeling. Hearing it out loud, laced with some Trump stingers, can feel cathartic. “The Daily Show” could learn from Samantha Bee. Comedy CentralBee was a ‘Daily Show’ correspondent for 12 years. Ever since Jon Stewart left the show for a farm in New Jersey, “The Daily Show” has gone through some turbulent times. Stewart picked the new host Trevor Noah himself. Stewart hoped Noah, a multi-lingual comedian from South Africa, would bring a more global perspective to the show. In the long run, that could work out great, but Noah started during an election year. He has yet to provide any sort of enlightening, or even just unique, perspective on U.S. politics. Noah has a more laid back demeanour. This works well in a comedy club, but not on a late night show. Bee, who goes on camera in sneakers instead of a suit every week, shouldn’t return to “The Daily Show,” as she’s carved out a perfect spot for herself in a crowded TV world. However, if other late night hosts want to have impact the next day the same way she does, they could learn a thing or two from her unique approach to a stale formula.